The Kiwanis Club of Adrian, in partnership with 103.9 WLEN, will host its Annual Radio Auction from 8:30 a.m. – 4:30 p.m. on Saturday, February 9, 2019. Sponsored by Old National Bank and Iott Insurance Agency, the 25th annual auction features hundreds of items up for bid, broadcast live over the radio. Community members are encouraged to tune in to 103.9 WLEN during the event, and call 517-264-7300 to bid on new items each half hour. Items up for auction will be listed prior to the event on the Kiwanis Club of Adrian website (www.adriankiwanis.org) and on Facebook (https://www.facebook.com/adriankiwanis). Proceeds of the auction fund Kiwanis projects such as the expansion and beautification of the Kiwanis Trail, bicycles given to area children who read during March Reading Month, providing grants to local non-profits, and providing Christmas gifts to area children in need. The Kiwanis Club of Adrian is a local service club that intentionally takes action to revitalize Adrian. 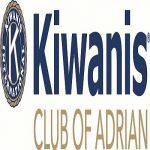 To learn more about the Kiwanis Club of Adrian, visit www.adriankiwanis.org or find them on Facebook.